The Ascended Master El Morya is the chohan of the first ray of the will of God. He represents the godly attributes of courage, certainty, power, forthrightness, self-reliance, dependability, faith and initiative. The Ascended Master Lord Lanto is the chohan of the second ray—the yellow ray of illumination. He is concerned with the education of the heart and the illumination of the youth of the world. The Ascended Master Paul the Venetian is the chohan of the third ray of divine love, the pink flame. He sponsors the ascended master culture for this age and works with all who desire to manifest that culture in the arts. 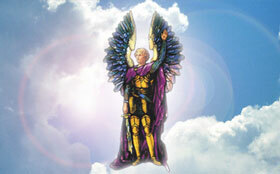 The Ascended Master Serapis Bey, chohan of the fourth ray, teaches the path to the ascension. He assists his students in the self disciplines of the four lower bodies that are necessary for the ascension. The Ascended Master Hilarion is the chohan of the fifth ray and a healing master on the green ray of health, precipitation and truth. 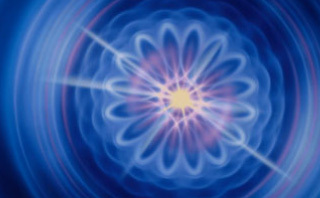 He instructs us on the relationship between science and religion, both of which are aspects of the green ray of Truth. 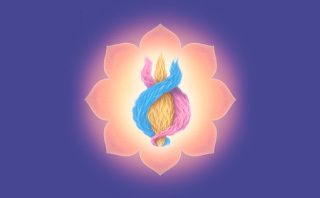 The Ascended Lady Master Nada is the chohan of the sixth ray of ministration, service and peace. She is very much involved with the initiation and sponsorship of twin flames and the Aquarian age family. 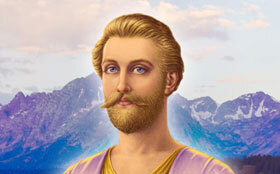 The Ascended Master Saint Germain, the chohan of the seventh ray of freedom, mercy, transmutation and ritual. He holds a very important position as the hierarch of the Aquarian age. He teaches seekers the science of divine alchemy and transmutation. The Maha Chohan is the Ascended Master who is the representative of the Holy Spirit. The one who holds this office in hierarchy represents the Holy Spirit to the evolutions of this planet and to the elemental kingdom. Each of the Chohans of the seven rays has their etheric retreat from which ascended and unascended masters, angels as well as souls "working in their sleep" as it were strive to bring the blessings of Light and the consciousness of the Christ to mankind. Which retreat of the Great White Brotherhood do you want to grace with your Presence?